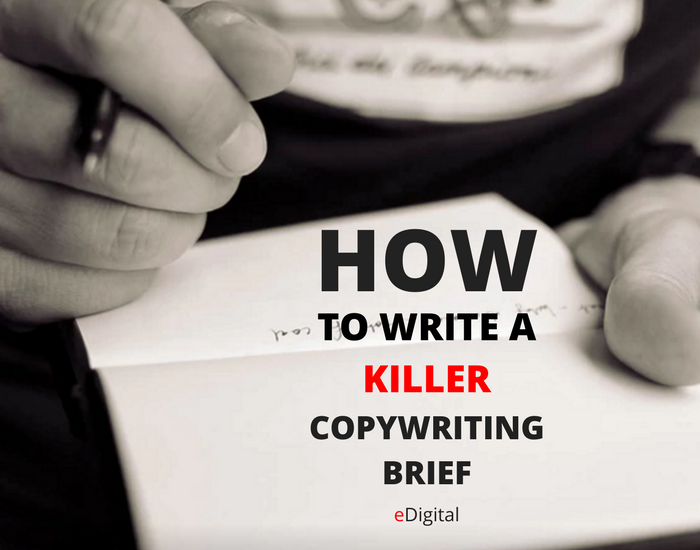 Check out our top tips on how to write a killer copywriting brief and our template. The below tips will ensure your copywriter will get know your business and never assume your exact needs and expectations. With the below briefing tips, your copywriter will fully understand your preferences and getting the best results for your budget. The information given on your brief and template will arm your copywriter with ample knowledge about you, your business and your exact copy writing needs. Copywriters often spend both great time planning a project and doing the actual writing. Even the simplest job needs a rock-solid direction: a good brief and thorough research. Because it’s only after we dig deep into your business, goals and market, that a fantastic copywriter can put the exactly right words on the page – and create clear, compelling content that gets you noticed. But why is a copywriting brief so important – and what do you need to think about when briefing your writer? And the more time and effort you put into the briefing stage, the bigger copywriting bang for your buck you get. While all copywriters like to think they are pretty awesome at what they do after all those years of writing, they are (unfortunately) neither mind readers, nor miracle workers. They can only build their work based on the information you (as a client) supply. And they can only write spot-on content (aka copy) if they get to know you, your needs and your goals really well. Let your copywriter ask many questions to be able to create unique and powerful content that fits you and your business. You can get a great understanding on how your copywriter’s mind works by checking out our briefing template and see the questions they should be asking. Also, try and think beyond the immediate copywriting brief. Maybe you only need a few pages of web content now. But your copywriter would like to know all about your future plans, so he can create words that stands the test of time. Plus, it lets your copywriter grow a close relationship with you. Start by thinking about your business. In our copywriting brief template, you will let your copywriter know what your business does, how you do it, and why. This gives your copywriter a big picture view of how you operate – and why you need his help. The ‘why’ is everything. Because it’s the start of your story. It tells about your mission, beliefs and passion. As well as why your audience should care about the work you do. Try to get very clear about what copy you need written. Is it a 20-page website, monthly e-newsletter, one-off whitepaper, or book editing? Or perhaps it’s a wider communications strategy. Or a package of different content pieces. Sometimes you won’t know exactly what form the written piece should take. And that’s OK. A professional copywriter should help you figure this out. But having some idea of the final product and it’s goal will help your copywriter understand your expectations – and start the relationship off on the best foot. Who’s your competition – and what are they doing differently (better or worse)? Who’s buying from you – and are you giving them what they want? What’s your USP? What makes you stand out in the crowd? What’s your market position ­­– and how do you see it changing in the future? Have you read a blog with a tone of voice that’s perfect for your website? Or is a competitor making waves with an engaging ebook? What style of writing do you like? And what words, phrases, or brands do you loathe? Sometimes it’s easier to show what you do and don’t like, than to try and explain it. So show your copywriter some examples, to steer him in the right direction.